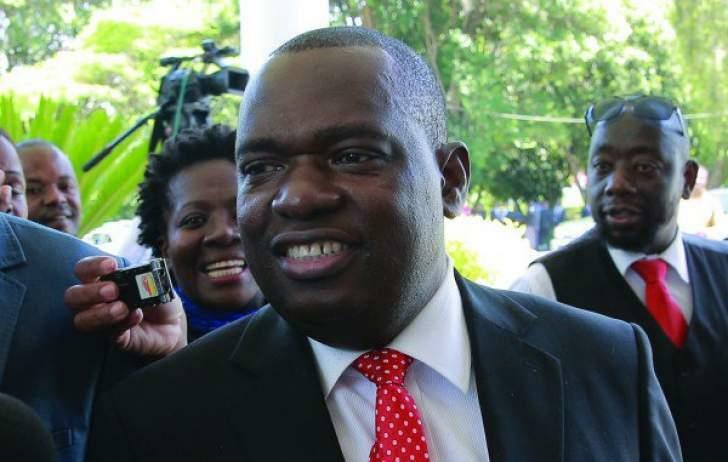 HARARE – Foreign Affairs minister Sibusiso Moyo yesterday made his first appearance in months following his battle with a kidney ailment last September. Moyo made a surprise appearance at the State House, where President Emmerson Mnangagwa received credentials of new ambassadors from United Kingdom, Northern Ireland, Spain and Rwanda. The new ambassadors are Santiago Gomez-Acebo (Spain) Melanie Robinson (United Kingdom and Northern Ireland) and James Musoni (Rwanda). The retired army general went on to post pictures of the event on his Twitter account after a long time of inactivity on social media. Several people welcomed him back, to which he said, “Thank you, God bless you”. Deputy Information minister Energy Mutodi confirmed to the Daily News that Moyo was now back at work. “Yes, …Moyo resumed work a couple of days ago. As you have seen, he was with the president at State House accompanying the new ambassadors when they presented their credentials… He is fit and raring to go,” Mutodi said. Moyo’s illness forced him to miss the crucial United Nations General Assembly meeting in the United States in September last year, where Zimbabwe was represented by Mnangagwa. The former senior army officer became an instant celebrity when he announced live on State television on November 15, 2017, the military intervention governance of the country, which toppled former president Robert Mugabe from power. This saw the affable and articulate former high-ranking soldier earning the moniker “General Bae” from his admirers. Moyo, who retired from the military following his appointment as a minister by Mnangagwa in the aftermath of the November 2017 military intervention, was born at Munene Mission Hospital, in Mberengwa, in 1960. He joined the liberation struggle as a teenager in 1977 — abandoning his Form Three studies at the time. The curtain later fell on Mugabe on November 21, 2017 when the nonagenarian resigned from office moments after Parliament had started damaging proceedings to impeach him. For some time during this period, Mugabe and his vocal wife, Grace were placed under house arrest. Several Cabinet ministers linked to the Generation 40 (G40) faction who had coalesced around Grace were also targeted in the military operation which ended a week before Christmas of that year, with the soldiers retreating to their barracks after five weeks of executing the operation. Among the former ministers who were targeted then were alleged G40 kingpins Jonathan Moyo, Patrick Zhuwao and Saviour Kasukuwere — with Moyo and Zhuwao still living in self-imposed exile following the fall of Mugabe from power. Kasukuwere appears to have smoked the peace pipe with Mnangagwa and his administration, and has been in and out of the country without any hindrance. But Moyo and Zhuwao — who have been viciously attacking Mnangagwa and his government through social media and interviews with foreign media over the past few months — have not set foot on Zimbabwean soil since 2017. I am not convinced that there will be any difference in Zimbabwe if the felllow is at work or not – apart from having time to put his hands in the till? What has Zanu achieved in 39 years?? ?